Domino's: Free order of Cinnastix! You can currently score a free 8-count order of Domino's cinnastix! Just head on over to Dominos.com, click on "coupons" at the top of the page and then click "Enter Code" and use coupon code: "ZZZ1" It should automatically add the cinnastix to your order. Then just enter your name and address and choose the carry out option to receive a completely free order of cinnastix! Arby's: Free value menu item, today only! This is a great offer if you are fan of Arby's! Today only you can text AHOY to 27297 to receive a coupon valid for a free value menu item from Arby's, no purchase required! Keep in mind that standard text messaging rates will apply. Modnique.com: Aprons for just $6 shipped! Currently when you sign up at Modnique.com you will receive a free $5 credit! You can use that credit today to get one of the aprons picture above for just $6! You will also be able to get free shipping on your order when you sign up for the daily emails, you can always unsubscribe from these later if you don't want to receive them. To get in on this deal just head on over here to sign up at Modnique.com and receive your free credit. Then click on "All Events" near the top of the page and scroll down until you see the April Cornell Vintage-Look Table Linens event. Then just choose the apron you want and make your purchase! Captain D's: You can once again get 4 free butterfly shrimp! This deal is once again available! Today September 19, 2011 only! Enjoy a free sample of Captain D's crunchy butterfly shrimp and their new bold dipping sauces! Dip your favorite shrimp in Southwestern Chipotle, Sweet & Spicy Orange, Sweet Hickory BBQ, and Brown Sugar Bourbon. Head on over here to print the coupon. I tried these the last time this deal was available and I definitely suggest the Sweet and Spicy Orange sauce! They should let you sample all 4 of them though. SaveMore.com: Free wall decals and $2 for $30 worth of sunglasses! Get $30 worth of sunglasses + free shipping for just $2! Just head on over here to sign up at SaveMore.com and get your free $10 credit. Then purchase this deal for $12, or just $2 after your credit! You can see the available styles at inspiredshades.com. Get $20 worth of wall decals + free shipping for FREE! Just head on over here to sign up and get your free $10 credit. Then purchase this deal for $7, or free after your credit! You can see the available wall decals at stickonwalldecor.com. Please keep in mind that you only purchasing the voucher today. You will receive an email with instructions on how to redeem your voucher once the deal has ended. Bloom.com: $20 off $40 purchase! Currently when you sign up at Bloom.com and refer 10 friends (they don't have to sign up) you will instantly receive a coupon code valid for $20 off a $40 purchase. Also, if you are already a Bloom.com member you can combine this offer with any bloom dollars that you may already have in your account! Plus Bloom.com will be donating 10% of all Share the gift of beauty sales to breast cancer research and awareness. AND you will receive free samples with every order! Sounds like a great deal to me! 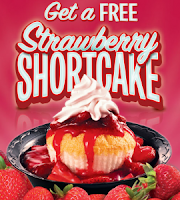 Head on over to the Krystal facebook page and "like" them to print a coupon valid for a free strawberry shortcake! 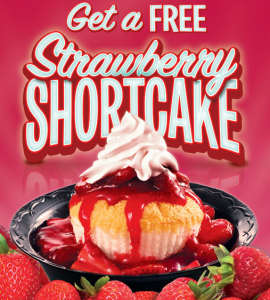 Who doesn't love free dessert? SaveMore.com: Free electronic skins + free shipping! Currently when you sign up at SaveMore.com you will receive a free $10 credit in your account. 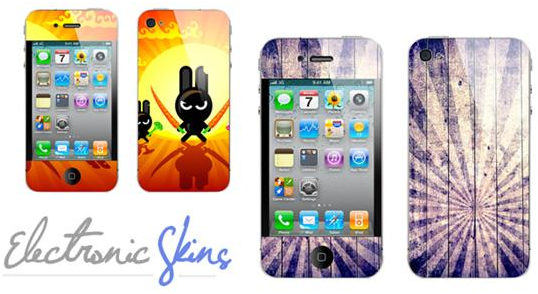 You can use that credit today to get $15 worth of vinyl electronic skins for free with free shipping! Just head on over here to sign up and get your free credit. Then, purchase the voucher using your free credits and once the deal has ended you will receive an email with instructions on how to redeem your voucher. Captain D's: Four free butterfly shrimp! Today September 12, 2011 only! Enjoy a free sample of Captain D's crunchy butterfly shrimp and their new bold dipping sauces! Dip your favorite shrimp in Southwestern Chipotle, Sweet & Spicy Orange, Sweet Hickory BBQ, and Brown Sugar Bourbon. Sounds good to me! Head on over here to print the coupon. Google Offers: $4 Fandango Movie Tickets! Sorry guys, looks like this deal is now sold out! Google Offers Beta is a new daily deal site by Google. Today, they are offering fandango movie tickets (up to a $13 value) for just $4! To get in on this deal just head on over here to log in to your Google account and purchase your tickets. SaveMore.com: Free Ion Sports Watch! Currently when you sign up at SaveMore.com you will receive a free $10 credit in your account. You can use that credit today to get an Ion Sports Watch from GadgetGear.tv for free with free shipping! Just head on over here to sign up at SaveMore.com and receive your free credit. Then just purchase the Gadget Gear Voucher and wait for it to arrive. You should receive an email with information about how to redeem your voucher after the deal has ended. 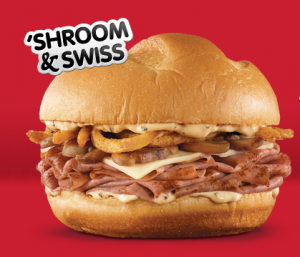 Arby's: Free Shroom & Swiss sandwich with purchase of small drink and fry! 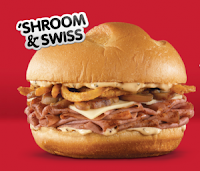 Arby's currently has a coupon valid for a free Shroom & Swiss Sandwich with the purchase of a small drink and fry! Just head on over here to enter your name and print the coupon. This would make for a really cheap lunch! 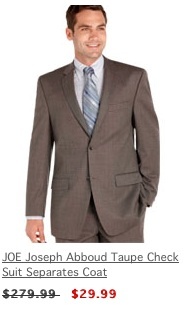 Men's Wearhouse: Suit Separates Blowout = Cheap Suits! You can also choose to have your order shipped to a local Men's Wearhouse store for free! Chick-Fil-A: It's not too late to reserve a free breakfast item! I previously posted about a deal available at Chick-Fil-A where you could reserved a free breakfast item. Well, there are still spots available! Head on over here to see if you can still reserve a free item in your area. 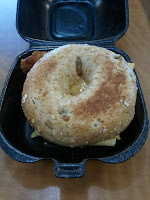 I received my free Chicken, egg and cheese bagel this morning. It was delicious! Currently when you sign up for an account at SaveMore.com you will receive a free $10 credit. You can use that credit today to score free teeth whitening strips from SmileBright.com! To get in on this deal, just head on over here to sign up for a Save More account and get your free credit. Then just purchase the Smile Bright deal for $7 (free after your credit) and wait for your voucher to arrive. You will receive an email when your voucher is ready to use. Once you do, just head over to SmileBright.com to complete your purchase. Modnique.com: Items starting at just $2 shipped! Handbags and accessories starting at just $5 after your $5 credit! They have some cute compact mirrors and travel mugs that would make great gifts! You can get the Modern Amusement tank pictured above for just $2 after your $5 credit! Please note that the tank is only available in select sizes and colors. You can get the top pictured above for just $9 after your $5 credit! To find the sales featured above, just head on over here to sign up for a Modnique.com account and get your free $5 credit. Then click on "All Events" at the top of the page and scroll down until you see the sale that you want. Once you are on the sale page, scroll down to the bottom of the page to view the cheapest items. 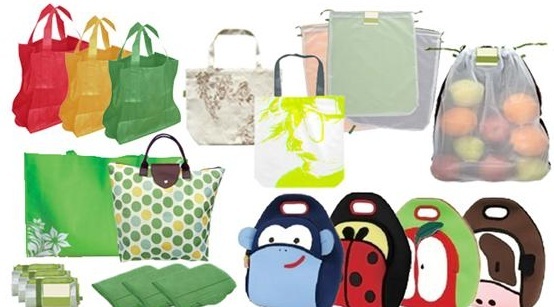 SaveMore.com: $18 worth of eco-friendly reusable bags only $3.95 shipped! SaveMore.com currently has an $18 voucher for Eco-friendly reusable bags priced at just $9! Plus, when you sign up for a new account you will receive a free $10 credit which will make this voucher free! All you will pay is $3.95 for shipping from ReusableBags.tv. Expires March 6, 2012. Redeem online at ReusableBags.tv. Voucher will be available for redemption on 9/6, 12pm CST. Limit 1 voucher per person. Full amount of voucher must be used in one purchase. No cash back value. Shipping not included. 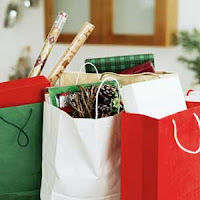 So, I know that Christmas is still four months away but I wanted to share a few of my tips for making it through the holidays without spending a ton of money. My number one tip? Who says you have to BUY gifts? Handmade gifts are great because not only are they cheap, the person you give them to knows that you actually put more effort into it than just running to the store. A great idea is to make small gift baskets filled with handmade items that are customized for each person. One year I got really into crochet and so I made everyone scarves and hats. If you're crafty, artistic or love to cook/bake then get to work on making a few gifts! It's fun and can save you money! Need some inspiration? Why not check out Etsy.com? No, surveys won't make you rich, but they can give you a little extra spending money which can be very helpful near the holidays. I highly suggest signing up at Opinion Outpost. You get $1 for every 10 points that you earn and most surveys are worth between 10 and 50 points. I have just recently (about 3 weeks ago) started using opinion outpost again and I'm already up to $20! You can redeem your points for amazon gift cards, citi bank gift cards or a check. I'm currenlty saving the money in my account so that I can redeem it for an amazon gift card closer to Christmas and hopefully get a nice gift for my husband. I have received SO MANY free or cheap items from daily deal sites! My favorite is definitely SaveMore.com because they give you a $10 credit just for signing up and they constantly have deals for $10 or less. I'm always posting these deals on here but in case you missed them or have just been lazy about signing up, DO IT NOW! You will have to enter your credit card information when you sign up for a deal but they won't charge you, it's just to make sure that you're a real person. I have personally scored many freebies from this site and can tell you that it's legit. JackThreads.com - Features fashion and accessories specifically for men. Modnique.com - Get a free $5 credit for signing up and free shipping on your order. Eversave.com - New members get a free $3 credit. "But clearance racks only have last seasons stuff or damaged items right?" WRONG! You can find so many great items on the clearance racks/aisles, you may just have to do a little bit of digging which, in my opinion is the fun part. And don't forget about the clearance sections of online stores! You can usually combine a good online sale with coupon codes for percentages off or free shipping. These are just a few of the ways that I save during the holidays. What are some ways that you save? Share your ideas in the comments.